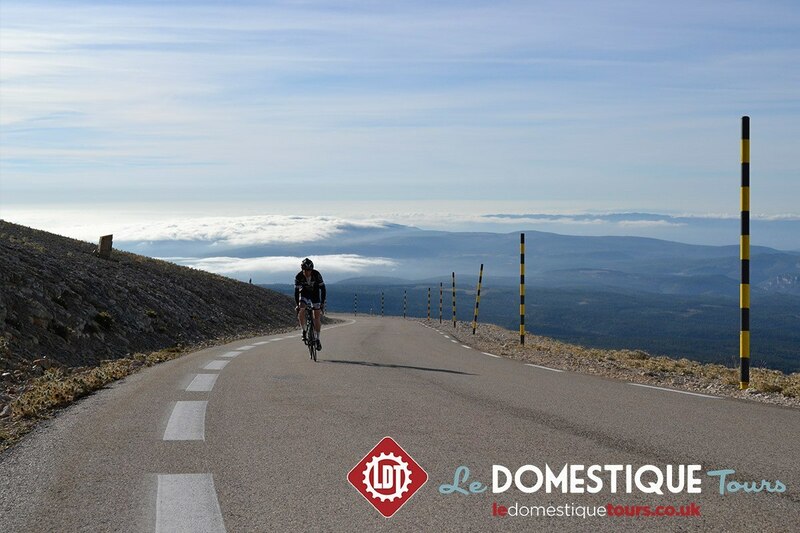 The Mont Ventoux Triple Ascent, Club des Cinglés du Mont-Ventoux or Club of the Mad Men of Mont-Ventoux, is world renowned, with membership earned by riders tackling 137kms and 4400m of climbing, via the three paved ascents of Mont-Ventoux, in just one day of riding. 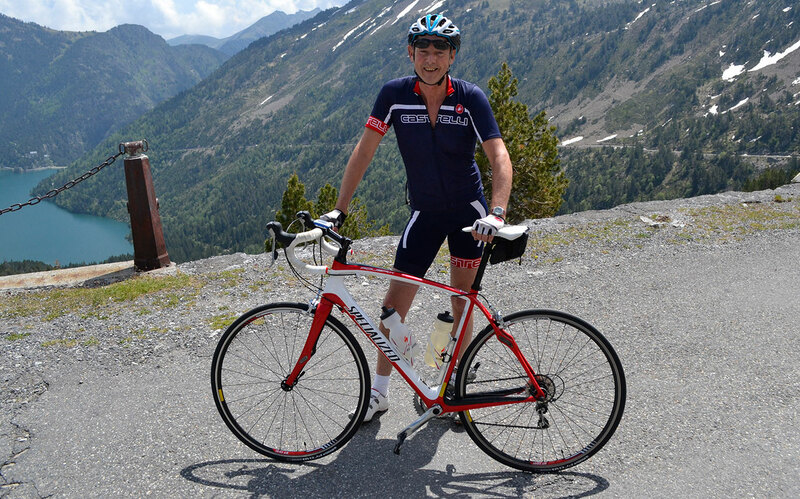 Le Domestique Tours’ package is centered around this incredible challenge, backed by our industry leading support, expertise and knowledge, to ensure that Parkinsons UK and their fundraisers receive the highest possible experience at every level. 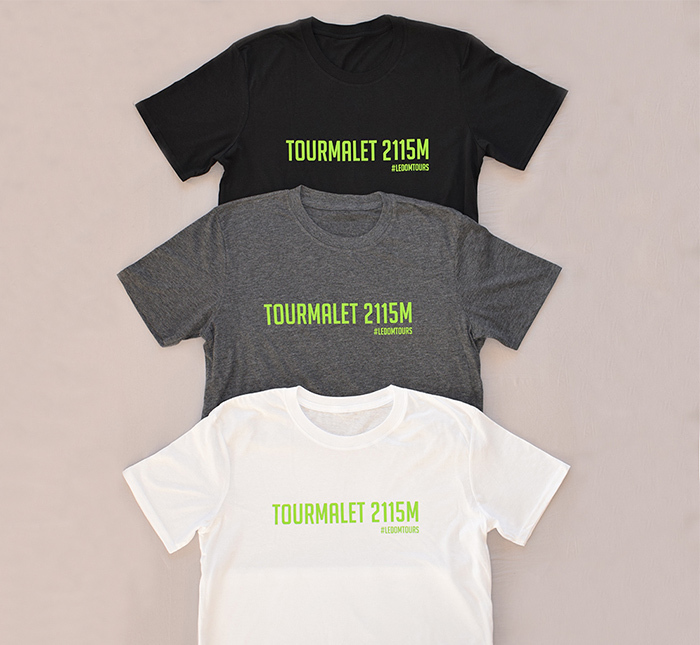 The iconic cycling fundraising challenge – The Club des Cinglés du Mont-Ventoux. 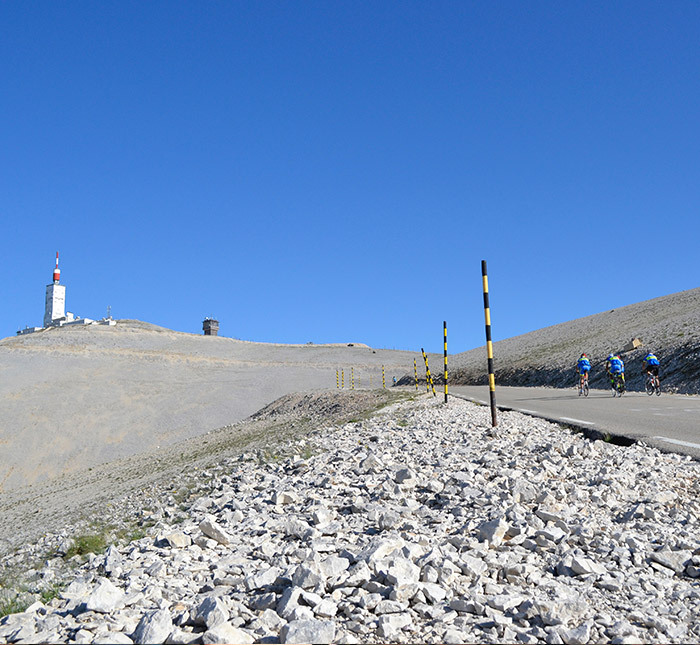 To book your place on this incredible adventure please get in touch with Parkinson’s UK directly at 020 7963 9305, events@parkinsons.org.uk or parkinsons.org.uk/ventoux. You will be met by your Le Domestique guide team and transferred to our hotel, the Inter- Hôtel Du Parc. There will then be an opportunity to complete a shake down ride (or relax at the hotel pool), followed by our welcome dinner and briefing. At the briefing we give our insider information on the Cingles challenge and provide a full breakdown on how best to approach this incredible challenge. 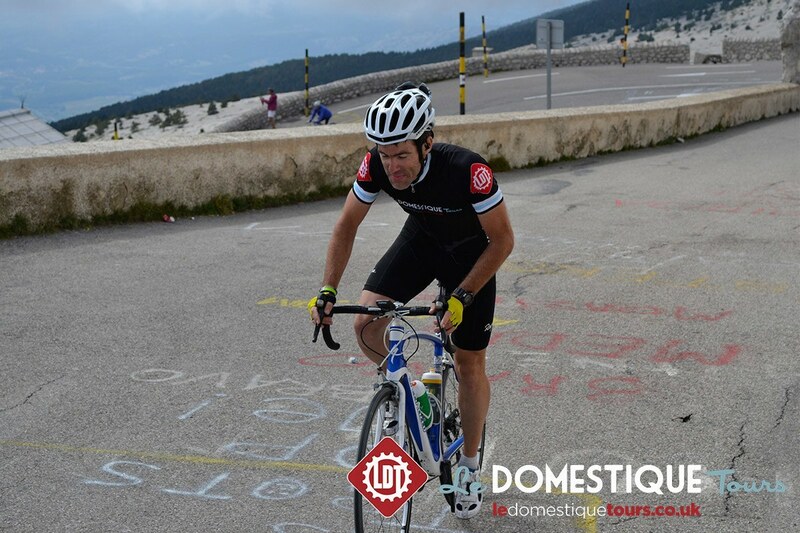 An epic day focussed on the three ascents of Mont-Ventoux. In order to save your legs, riders will be shuttled to and from Bedoin, which serves as our start and end point. During the course of the day we will have one vehicle permanently stationed at the summit, along with roving support vans, ensuring riders can ride at their own speed throughout, with full support at every stage of the challenge. Riders will have the chance to either complete a further day of riding in the stunning Gorges de la Nesque and vineyards surrounding Mont-Ventoux, or alternatively, you can have a lazy day relaxing at the hotel, take lunch and explore the stunning town of Avignon, or visit a local vineyard. 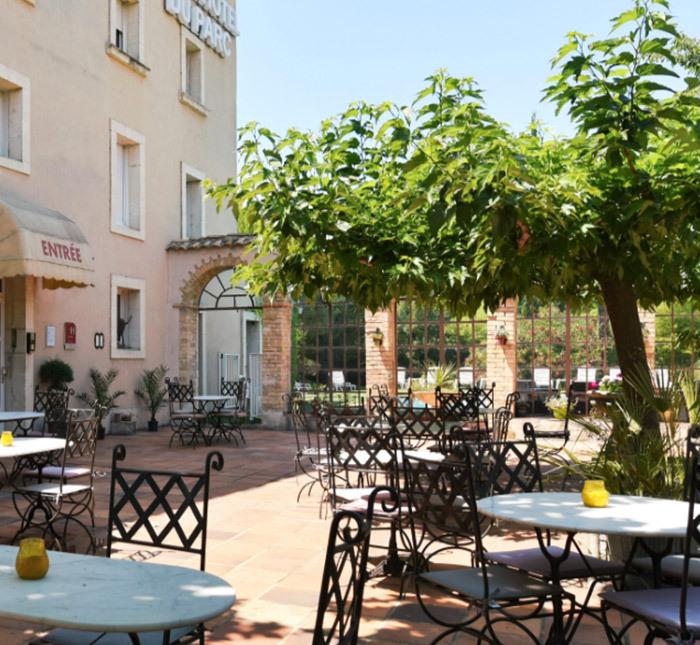 With a celebratory final dinner taking place the evening before, guests are free to relax at the hotel and enjoy a lazy breakfast, before we return to Marseille Provence Airport for the afternoon flights home, arriving back in time to share your incredible experience with your waiting friends and family. Airport transfers to and from Marseille based on late morning arrivals and an early afternoon departure, in modern air-conditioned vehicles. 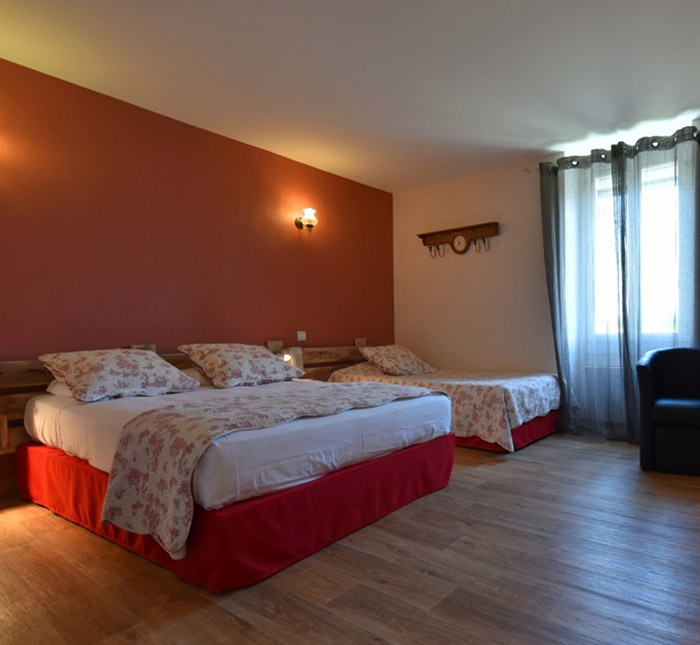 Three night’s accommodation at the Inter-Hôtel Du Parc in Entraigues-sur-la-Sorgue. Breakfasts and Dinners each day, supplemented by our own blend of Muesli. 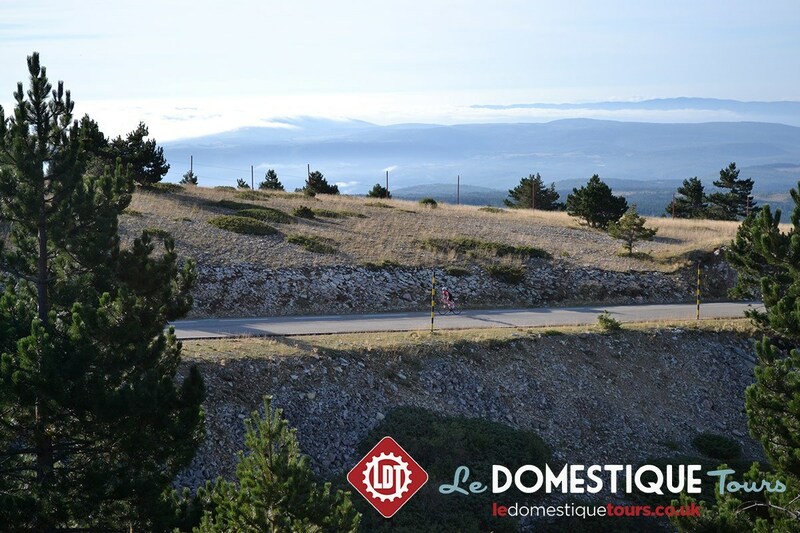 Fully guided and supported riding from a fully equipped support vehicle which carries all your spare clothing and other items together with providing full refreshment stops and mechanical support, together with a support station situated at the summit of Mont-Ventoux. 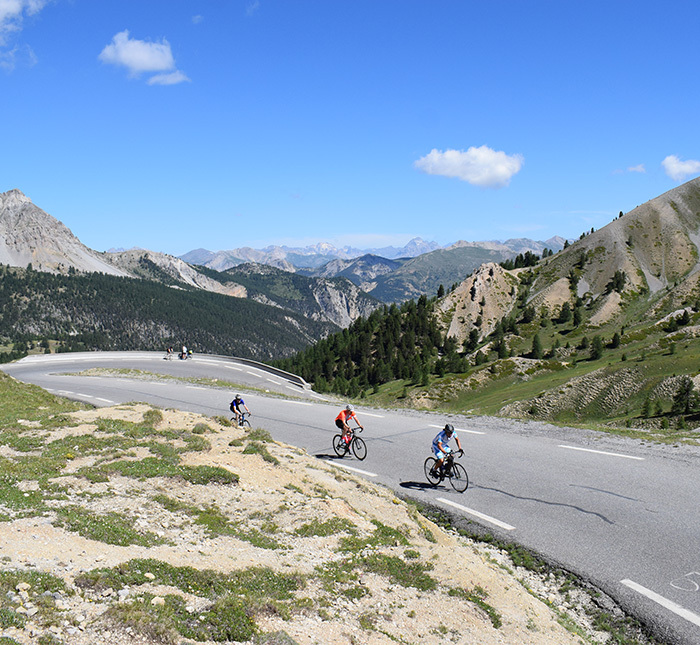 Our pro level supported riding service is known throughout the cycling tour world as the industry leader, ensuring that all our riders have to focus on is turning the pedals and soaking in the incredible atmosphere of the Geant of Provence. Entry into the official Club des Cinglés du Mont-Ventoux challenge, with successful competitors receiving an official certificate, medal and listing on the Club des Cinglés du Mont-Ventoux website. The below flights are a guide as to the airport transfer timings for the morning of 1 June and the afternoon of 4 June 2017. If you are flying from an alternate destination, please Sarah at Parkinson’s UK for more information. 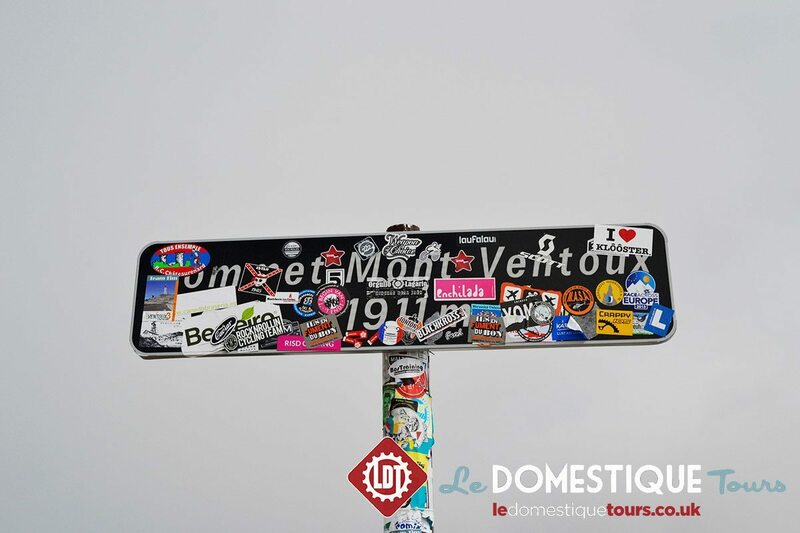 Founded 27 years ago, the Club des Cinglés du Mont-Ventoux is open to all riders, with membership requiring said riders to have completed the three paved ascents of Mont-Ventoux in one day of riding, obtaining four stamps, one from each of the ascent starting towns (Bedoin, Malaucéne and Sault) and one from the summit, along with time stamps to record the timing of their progress. Joining the Club des Cinglés du Mont-Ventoux is one of the finest achievements in amateur cycling! Bedoin – 1912m, 21.5km and 7.5% – the traditional Tour de France ascent, which begins in the brutally steep forested lower slopes, before opening out into the infamous moonscape at Chalet Reynard. 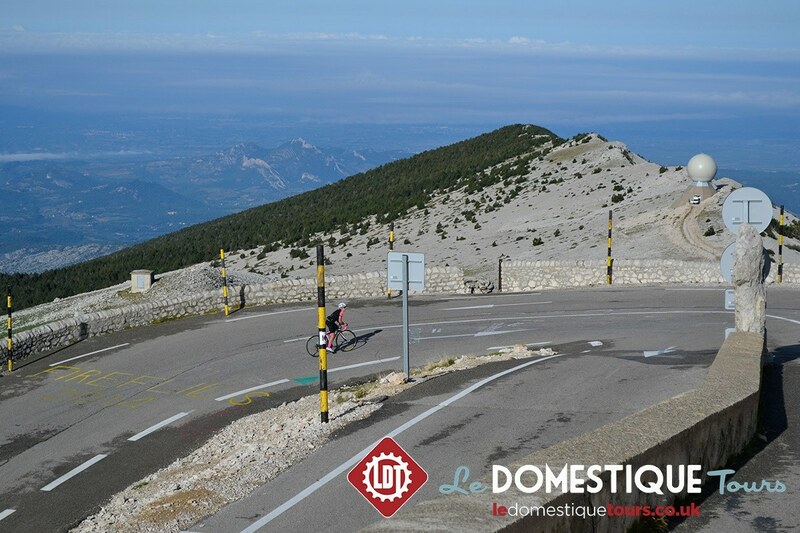 Malaucéne – 1912m, 21km and 7.5% – some feel this is even tougher than Bedoin, with a consistent steep gradient and the backside of Ventoux providing little respite from the strong midday sun on fine weather days. 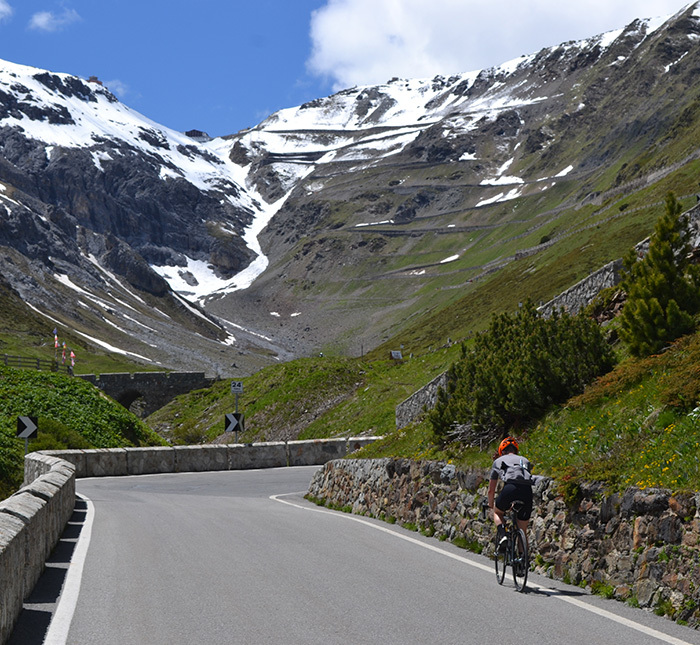 Sault – 1912m, 26km and 4.7% – the easiest and perhaps most enjoyable descent hides a sting in the tail, with the final seven kilometres from Chalet Reynard on being shared with the Bedoin ascent. Underestimate this final ascent at your peril. Tackling the ascents in order of difficulty – only Le Domestique Tours riders benefit from our flawless support service and unrivalled knowledge of how to succeed at the Cinglés. While some riders do tackle the Club des Cinglés du Mont-Ventoux challenge on a standard double chainset (53/39), we generally recommend that riders opt for a compact chainset (50/34), accompanied by a 27T or 28T rear cassette. This gives a good spread of gears to cover most eventualities and ensures that you have a low enough gear to keep the pedals turning. Some riders do utilise triple chainsets, however in many circumstances this does not provide a lower gear than the ratios suggested above. 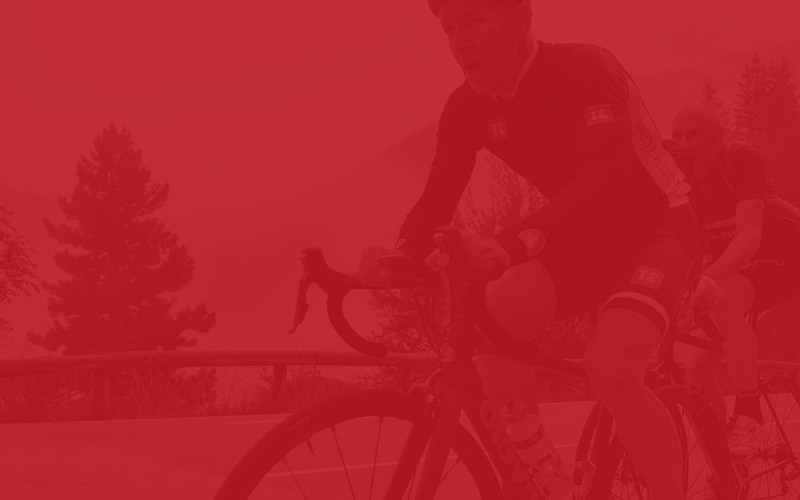 The Club des Cinglés du Mont-Ventoux challenge is a very challenging undertaking, with riders either descending or climbing throughout the day. 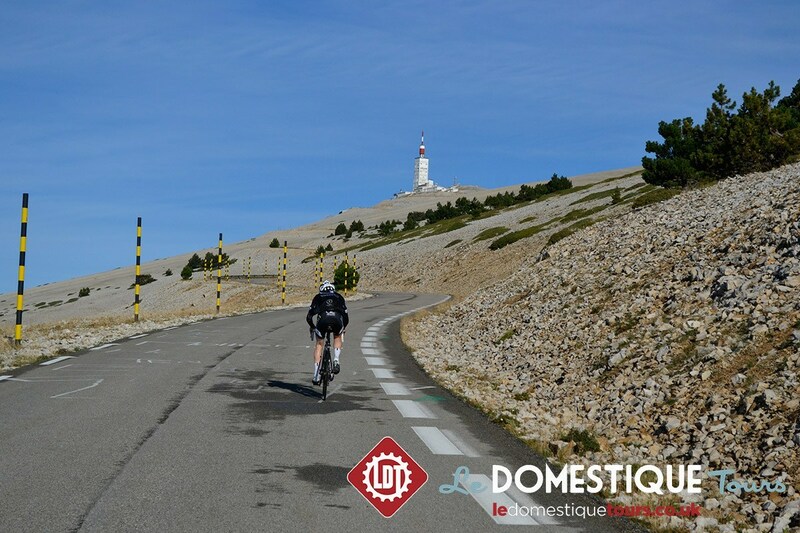 If you are in any doubt about your ability to complete the challenge or wish to chat with us about the coaching options that Le Domestique Training can provide, please contact robert@ledomestiquetours.co.uk. One of the main benefits of the Le Domestique Tours supported riding, is our pro-level riding service, which is an integral part of all of our packages, ensuring that you are never far from a support van, which carry your spare clothing, water and nutrition supplies, along with providing mechanical support. Riders are free to ride at their own speed throughout the Cinglés, with the support van roaming the course throughout the day and the summit support station being staffed throughout the day, ensuring that you are never far from assistance. We recommend that you carry at least one spare inner tube along with a mini pump/co2 and a multitool with you at all times as a minimum so that if you do suffer a mechanical we can quickly take care of it. We have supplies of threaded Co2 canisters which you are welcome to borrow for the duration of the tour and either return unused, or if you do have to use them we charge £2 per canister. The weather on Ventoux can be very fickle, with low cloud and fog regularly encountered, so please ensure that you have both front and rear lights with you (simple LED commuting lights are sufficient). Failure to carry lights can result in a fine from the police and also risks drivers not seeing you, so please do not forget to bring/use them.